This live recording (in an abridged form) was broadcast live to air on AM radio stations around Australia on April 27, 1979 from the infamous Melbourne rock venue, Bombay Rock. It was just two months after the release of the band's revered second album Breakfast At Sweethearts and it features all but one of that album's songs. 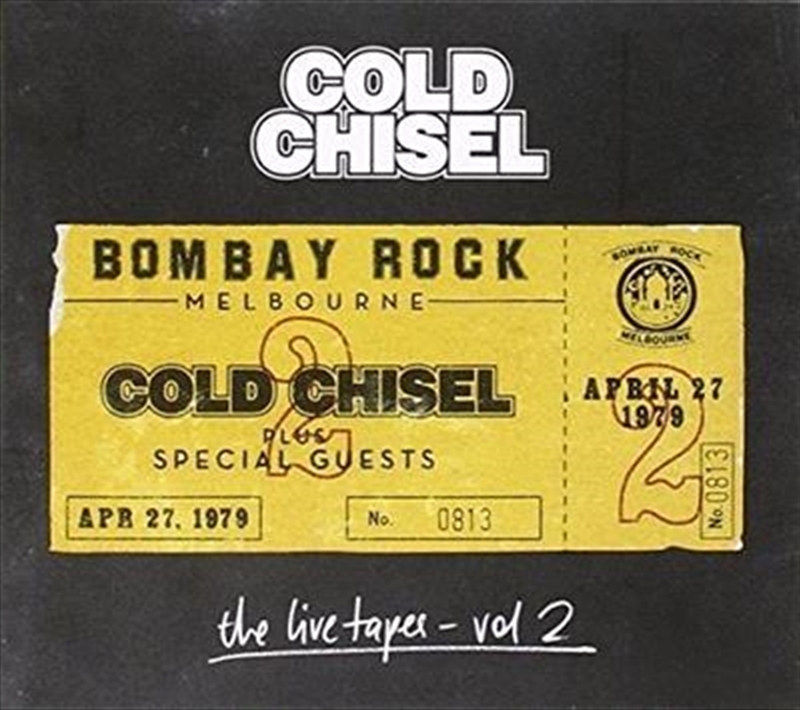 The Live Tapes - Vol 2 - Live at Bombay Rock captures the ferocious intensity and reckless beauty of Cold Chisel live shows are renowned for and casts the songs from Breakfast... in a whole new light. From the roundhouse blues of 'Shipping Steel' and the dark paranoia of 'Conversations' and 'The Door' through to fluid beauty of 'Dresden' and 'Plaza' this is how Breakfast At Sweethearts should have sounded. Additionally, first album favourites 'Home and Broken Hearted' and 'One Long Day' (a freeform 9-minute and perhaps definitive version of this Cold Chisel classic) and the live standard 'Wild Thing' round out a brilliant second installment in the band's Live Tapes series.